The best value for high quality translation of documents. Alma Consult provides the best value for high quality translation. 3. Arabic, Albanian, Armenian, Belorussian, Vietnamese, Georgian, Danish, Estonian, Hebrew, Chinese, Korean, Latvian, Latin, Lithuanian, Norwegian, Slovenian, Old Greek, Farsi, Finnish, Hindi, Dutch, Swedish, Japanese. Our price quotes are as per page unit that contains 1800 characters with spaces included according to BDS EN 15038:2006. For regular customers and volume orders our prices are negotiable. For more details, contact us ONLINE or visit OUR OFFICE! 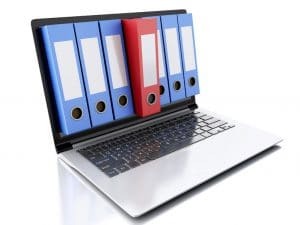 When do you need your documents translated? You will need translation of foreign documents in Bulgarian when you apply to study or work in Bulgaria, to conclude a civil marriage in Bulgaria, to follow a naturalization procedure, to verifiy various personal circumstances i.e. education, marriage to a foreign national and etc. You will need translation of documents from Bulgarian into a foreign language when you need to apply for work or study abroad, marry abroad and etc. Why the translation and legalization are to be carried out ONLY by a licensed agency? As per the Bulgarian law the official translation and legalization is to be delivered ONLY by a licensed agency approved by the Directorate “Consular Relations” at the Ministry of Foreign Affairs. Our services are delivered ONLY by sworn in translators working for a licensed agency that has a valid contract with the Directorate “Consular Relations” for the legalization of documents. Why translation prices differ from agency to agency? The prices differ depending on the agency and in particular on its location. The closer to the Directorate “Consular Relations” the office is the lower the cost of legalization tends to be. Prices for certain vary depending on the language and on the time term – i.e. translation into Polish is more expensive than in French, but less expensive than translation from Albanian. Unfortunately, prices are not always determined by the quality and the timeliness of service. What are you requested to do for the translation and legalization of your documents? You are requested to advise about all the abbreviations and type in Latin letters your full name as per your ID document. Certain documents might need an appostile as per the Hague convention. For more information you can read here.